To create a cut crease and give definition to a smokey eye this will be a great blending brush. Make sure to blend upward when creating a cut crease! 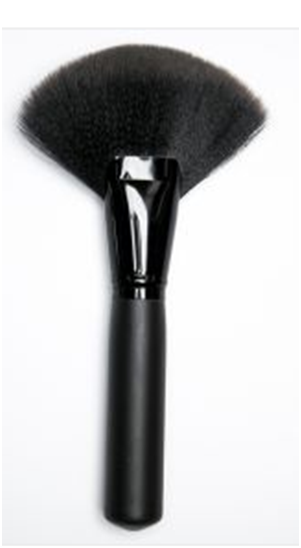 This duo fiber brush is awesome for buffing and blending in your concealer under the eye. I don’t know how many great things I can say about this brush! If you are going to buy any brush out of these favorites listed this is the brush to buy!! Perfect for any eye shape or size and makes blending a breeze. This one brush can be used for so much more than eye liner. Use it to correct your lipstick with concealer, apply eye brow highlight, dip in makeup remover to clean up eye shadow to give that perfect V! The small stipple brush is great for applying eyeshadow primer to the lid and to apply setting powder to the lips to create a long lasting matte lipstick. When packing on eye shadow this is the first brush I reach for and with the price of only $3 you can buy multiple! The round shape perfectly applies the eye shadow, pigment or glitter in the correct spot. This a great tool to use for high lighting the check bones and the collar bones to give a radiant glow! The bristles are very soft and dust the product very well on designated area. My favorite affordable all over face brush is the Complexion Brush from ELF. I have used it for applying blush, blending, and applying translucent powder to set all the makeup applied to the face. Angled blush brush great for sculpting those perfect cheek bones. Also, great to blend contour if you do not have the other brushes listed above. If you choose to just apply powder to even out your skin tone this brush buffs the powder beautifully on the face. Use for buffing in your foundation to create a flawless application. This brush will cost you $24 but if you are going to buy a high end brush then this should be the only one! Great for applying contour around the face and neck. Also, can use for applying blush to the cheeks. I prefer the angled blush brush. This brush is perfect to buff out the line when contouring your nose. It is perfect for getting right around the hollows of your eye and around the tip of your nose. This flat contouring brush is perfect and will make your contouring process so easy and your contour will look flawless! I mean you literally come out with the perfect contour every time! This brush is a great dupe for the Nars contouring flat brush. This is great for giving a precise line when contouring the nose and hollows of your cheeks. If you want to do a round contour like Khloe Kardashian then this is a great tool to use.